Are environmental rules really job killers? Shortly after last year's election, President-elect Trump pledged to "cancel job-killing restrictions on the production of American energy." Rolling back these federal regulations, Trump said in a video, would lead to the creation of "many millions of high-paying jobs." Since taking office, Trump has made rolling back regulations a top priority for his administration. In January, he signed an executive order requiring that two federal regulations be revoked for every new one issued (Greenwire, Jan. 30). And in February, he signed another executive order establishing task forces at agencies for "removing job killing regulations and increasing economic opportunity" (Greenwire, Feb. 24). Like Trump, many conservative groups and industry leaders paint regulations as "job killers" that wreak havoc on the U.S. economy. They say regulations create red tape and place unnecessary burdens on industry. At the same time, many left-leaning politicians and groups say regulations simultaneously benefit the environment, public health and safety, and the economy. They also say rules drive innovation, which in turn can lead to job growth. So which is it? Are regulations job killers or job creators? The short answer is that it may "be a wash," according to one observer. The long answer is that some regulations related to clean air and water may cause concentrated job losses in industries like coal, while other regulations related to fuel efficiency and methane leaks may create new jobs in industries like automobiles and manufacturing. The rhetoric of "job-killing regulations" first took off under President Reagan, said Cary Coglianese, an administrative and environmental law expert who directs the University of Pennsylvania's Penn Program on Regulation. "If you go back and do searches in all the various media outlets, it really picked up when Reagan started using that phrase," Coglianese said. Following the Reagan years, the phrase was embraced by several prominent California Republicans, Coglianese writes in his 2013 book "Does Regulation Kill Jobs?" The term then continued to resurface during periods of economic downturn, he writes. While today's economy remains strong, conservative groups such as the Heritage Foundation and the Club for Growth continue to embrace the term. In a spring 2016 statement, the Heritage Foundation said the Clean Power Plan — President Obama's signature domestic achievement — could "destroy some 300,000 jobs." "I can't confirm the numbers by any means," said Paul Larkin, senior legal research fellow at the Heritage Foundation. "What I can say is that it seems like the Obama administration was trying to force the American economy to go green, even though in the short run it would be extraordinarily expensive, and therefore cost a large number of jobs." Outside the political arena, several academic experts have examined the correlation between regulations and jobs. For instance, a highly cited study by Michael Greenstone, director of the Energy Policy Institute at the University of Chicago, looked at the link between the Clean Air Act and employment. The study, which was published in the Journal of Political Economy, found that the regulation may have led to 40,000 job losses annually in parts of the country with highly polluted air. But those losses may have been offset by job gains in areas with cleaner air, as factories relocated or new businesses cropped up in those locations. "The bottom line is that it can often be hard to tease out definitively the role that regulation will play in any closure of a facility or change in employment," Coglianese said. "In a normal economy — even one we have today where the unemployment rate is as low as it's been in more than a decade — people across the country are losing their jobs every week." To tease out the complex interplay between regulations and jobs, fuel economy rules make for an illustrative case study. 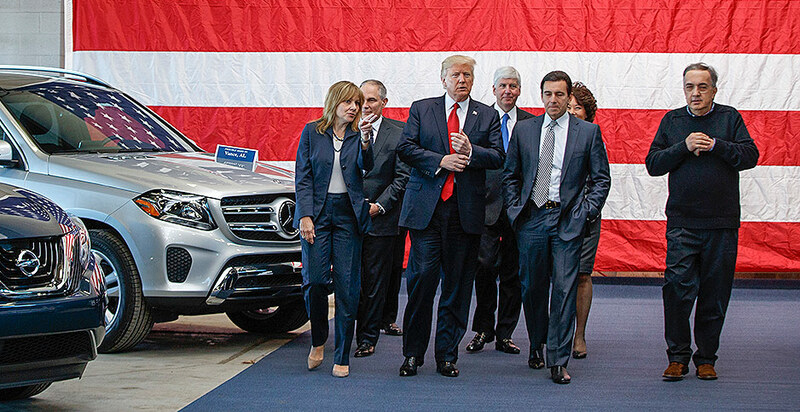 During a March visit to an automobile testing facility in Michigan, Trump announced that he would review Obama-era clean car rules (E&E News PM, March 15). "We are going to ensure that any regulations that we have protect and defend your jobs, your factories," Trump said while flanked by auto industry executives and workers. Earlier this month, U.S. EPA Administrator Scott Pruitt and Transportation Secretary Elaine Chao signed and published a notice asking for comments on the Obama-era greenhouse gas standards for vehicles manufactured between 2021 and 2025 (Climatewire, Aug. 11). The opening of the docket marked the first formal step of the review process. John DeCicco, a professor at the University of Michigan Energy Institute, said he thinks the Trump administration's review of clean car standards will likely result in lowered stringency, but the effect on jobs would be negligible. "As long as the regulations are reasonable and not requiring [automakers] to do the impossible, the effect on jobs is basically going to be a wash," DeCicco said. As a hypothetical scenario, an automaker might want to spend $200 on installing video screens in the back seat of an SUV, which would involve hiring a supplier, DeCicco said. But regulations might force the automaker to spend $200 on developing a more efficient engine instead, which would involve hiring specialized labor, he said. But Zoe Lipman, director of the Vehicles and Advanced Transportation Program at the BlueGreen Alliance, said she thinks fuel economy standards have been crucial for bringing back jobs in the auto industry over the past decade. Lipman pointed to a recent report by the BlueGreen Alliance and the Natural Resources Defense Council that found that more than 288,000 workers at factories in more than 48 states are building technology to improve fuel economy in today's vehicles. 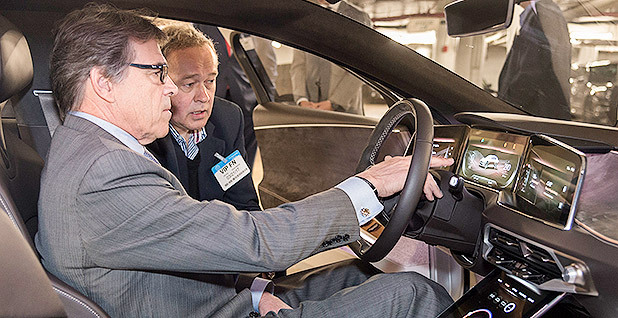 "The investment that's gone into meeting strong fuel economy standards has been critical to bringing back jobs in the automotive sector and is equally critical to sustaining job growth going forward," Lipman said. "As we're looking at reviewing these standards going forward ... this is not the time to step away from that kind of leadership." The report highlights growth at Nexteer Automotive, which specializes in electric power steering. Nexteer went from employing 3,700 workers at its Saginaw, Mich., plant in 2011 to employing 5,200 in 2015, according to the report. Luis Canales, director of global corporate affairs at Nexteer, said he attributes this growth in part to fuel economy standards. The rules are "really what brought the technology to a tipping point for it to be adopted by vehicle manufacturers," Canales said. "And I would say that it does have a big impact on employment." Rules aimed at stopping methane leaks during oil and gas production provide another window into the debate over regulations and jobs. The Senate failed in May to repeal a Bureau of Land Management methane waste rule using the Congressional Review Act (Greenwire, May 10). That means a federal rule is still in place to curb methane emissions from oil and gas flaring, venting and leakage on public lands. Several states have also adopted their own measures. Opponents of methane waste rules say they tie industry's hands. The BLM rule imposes a "significant regulatory burden that encumbers American energy production, economic growth and job creation," Kate MacGregor, acting assistant secretary of Interior for land and minerals, said in a May statement. But methane waste rules have received support from a growing chorus of environmentalists, politicians and industry leaders (Energywire, May 11). They say these rules not only benefit the environment but also create high-paying jobs. In particular, they say methane waste rules may lead to new jobs at methane leak detection and repair (LDAR) firms. 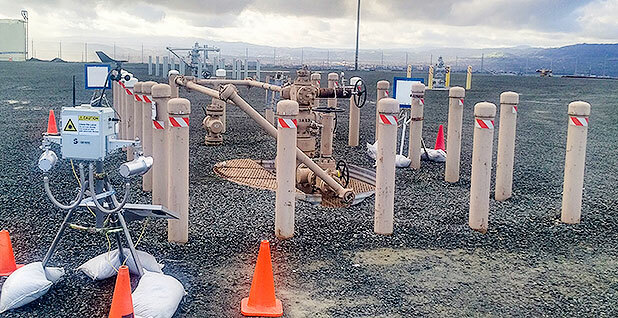 These firms use a variety of technology — including lasers and helicopters — to find and fix methane leaks from pipelines and other oil and gas infrastructure. At least 60 companies provide LDAR services to oil and gas companies in 45 states, according to a highly cited Datu Research report that surveyed the LDAR industry nationwide. One of largest LDAR firms is called Heath Consultants, and it uses a technology called laser spectroscopy, which shoots a laser of a certain wavelength to detect the presence of methane in air. Paul Wehnert, senior vice president of sales and marketing at Heath Consultants, said the firm employs people in all 50 states. About 150 engineers and technicians work in manufacturing, while an additional 1,300 people work in the field, he said. "We have nothing but full-time employees. No part-time employees," Wehnert said. "And our benefits packages are probably some of the best." Another LDAR firm called SenSevere LLC uses a hydrogen and hydrocarbon sensor that remotely detects methane emissions. For help with scaling up and commercializing the sensor, the firm turned to manufacturer SENSIT Technologies. Scott Kranstuber, vice president of sales and marketing at SENSIT, said the company has just under 100 employees. Most of the employees are engineers who develop the technology, while the rest are salespeople who market the product, he said. "Absolutely, regulations are very important," Kranstuber said. "Lacking any regulatory pressure, we've seen some utilities and midstream gas producers be more reluctant to make the leap toward technology for methane emissions. They'd certainly be more motivated if there were regulatory pressure." "But we don't advocate either way," he added. "We just adapt to the reality."